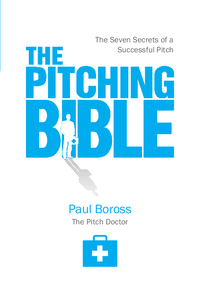 The Pitching Bible is everything you need to know to get your message across; professionally, powerfully and persuasively. Representing 25 years of the author's unique experience in business pitching and pitching in the music, stage, television, film and entertainment industries, the author's 'Seven Secrets of a Successul Pitch' are proven in pitches and sales presentations made all over the world in all markets. Download a PDF preview of this book.